We also analyze your human resources as well as your current process. 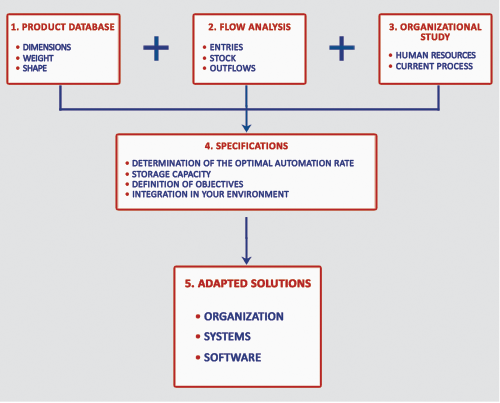 The collection in an average order, the number of references and the number of automated products will help to address the last step: The optimization of the automated references. Thanks to all the previous studies, the optimization will make it possible to obtain the efficiency threshold of the products that will be automated and then progressively reach the optimal level of automation. Applying the Pareto principle (80/20) in the sector concerned. Refine the result (residual displacements) to obtain a score between 90 and 99.5% of orders without displacement (see an example).